This is not the news the fanbase in Detroit wants to hear... According to Helene St. James of the Detroit Free Press, Red Wings defenseman Mike Green may miss the start of the season. Strangely, despite a long offseason seeing that the Wings did not clinch a playoff spot this spring, Green could miss the start of the season after fatigue led to blood work, and subsequently an appointment with a specialist. It was however a tough summer for the veteran blue liner, who underwent neck surgery in the spring. At the time, he was not expected to be sidelined for the preseason, and even less likely that he would miss the start of the campaign, however now, things have changed for the worst. 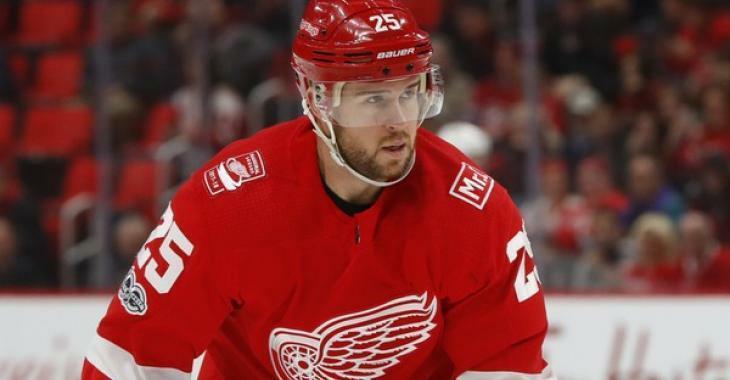 Green's absence leaves the Red Wings with five NHL regulars on the back end — Trevor Daley, Danny DeKeyser, Niklas Kronwall, Jonathan Ericsson and Nick Jensen. If we look on the bright side, it means the Wings are likely to keep two defense prospects on their roster. The team's first round pick in the 2016 draft, Dennis Cholowski, is a likely candidate to crack the opening night roster if Green cannot suit up. Other candidates include Libor Sulak, Filip Hronek and Joe Hicketts.